Written by: Written by Muhammad Mojlum Khan [Author]. The Muslims of Bengal have a rich and diverse cultural history spanning , more than a millennium. However, the existing literature on the subject , has been written from a secular, nationalist, sectarian or Orientalist , perspective which regarded the history of Muslim Bengal as being no , more than a footnote to a greater India-centric or Pakistan-centric , view of the Subcontinent. As a result, the Islamic perspective on the , subject was overlooked. In this book an attempt has been made to move , beyond existing ideological interpretations by pursuing an Islamic approach. The Bengali-speaking Muslims, around 200 million people, constitute one of , the largest linguistic groups in the Muslim world, second only to the Arabs. , If the Bengali-speaking people are a minority in the Subcontinent, then , Bengal’s Muslims are not a minority in the Muslim world. Covering 800 years , of the history of Islam in Bengal, this informative, authoritative and , inspiring book has been hailed as a pioneering contribution on the subject , aimed at a new generation of students, scholars and general readers. Who was Shah Jalal? When did Islam first enter Bengal? Who was the Muslim , conqueror of Bengal? Why did the people of Bengal embrace Islam in such , large numbers? Did Bengal produce any great Muslim scholars and leaders? , What about the Muslim women of Bengal: did they contribute anything worthwhile?, For the very first time, this book provides answers to these and many other , similar questions through the lives of outstanding Muslim personalities of , Bengal – written from an entirely Islamic perspective. This book is a real, eye-opener; nothing like it exists in Bengali, English, Urdu or any other language! 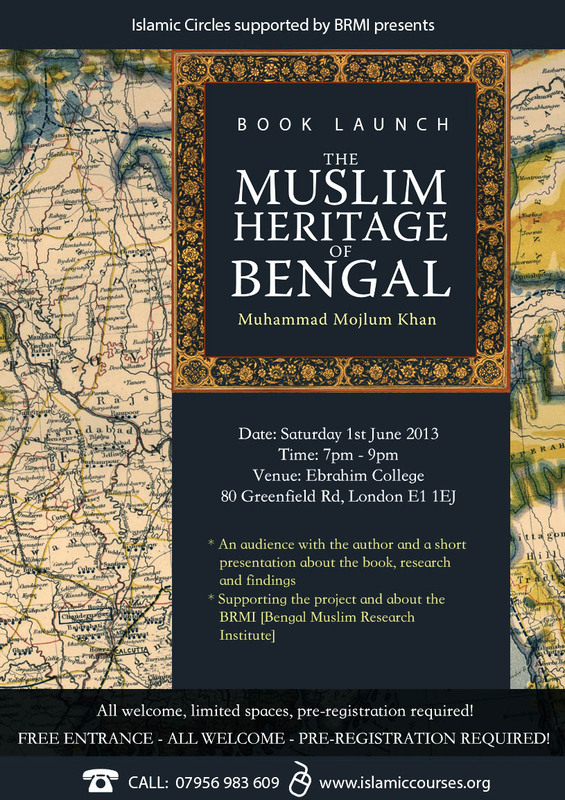 “The Muslim Heritage of Bengal is a multidimensional work covering , aspects of the Muslim history, culture and heritage of Bengal from , the early thirteenth century to the modern times… I am sure this , book shall add to the vista of knowledge in the field of Muslim , history and heritage of Bengal. I recommend this work.” , – Dr A. K. M. Yaqub Ali, Professor Emeritus, Islamic History , & Culture, University of Rajshahi and renowned historian of Bangladesh. A popular and fascinating history book that covers 800 years of the history of Islam in Bengal (present-day Bangladesh and West Bengal) through the example of 42 inspirational figures up until the 20th century by the author of the internationally acclaimed and bestselling book, The Muslim 100.